How Much Does LVN Make per Year? Below, we will take a look at the main factors influencing the LVN salary including the geographic areas, industry, and the person’s experience (beginner, mid-career, and experienced). The mean salary of LVNs or the equivalent depending on the healthcare system is $44,090 in the US, AU$53,000 (US$42,167) in Australia, NZ$56,000 (US$40,577) in New Zealand, C$46,384 (US$36,984) in Canada, and ₤25,000 (US$32,321) in the UK. The lowest salaries for LVNs or their equivalent are registered in South Africa with R220,000 (US$16,863) per year and India with Rs242,000 (US$3,783). As previously mentioned, the average LVN salary depends on a few important factors which we will discuss below. Location is the most important influencing factor as there is a massive difference between the average annual income in the United States and the one in India or South Africa. The Bureau of Labor Statistics reports the median salary of a licensed practical or vocational nurse at $44,090 per year; those working in government facilities, however, average at $45,620 per year, while those working in physician offices – at $39,990 per year. The same source reports those working in home healthcare services and nursing or residential care facilities also earn more than the national average – $44,510 and $45,300 per year, respectively. Payscale reports the median salary of LVNs and LPNs around $44,000 – similar to the findings of BLS. But they also mention the starting salary of licensed nurses is around $31,097, while experienced professionals could earn as much as $61,704 per year. This includes bonuses of up to $2,517 per year and an extra $1,200 from profit sharing opportunities. This salary reporting website also mentions that skills like acute care, hospice care, telemetry, and ER experience can boost the salary with up to 6% for US-based LVNs. According to PayScale, the average wage for LPNs or LVNs is C$22.30 per hour, which sums up to C$46,384 (US$37,005) per year. The same source reports overtime is paid with C$22.93 per hour. However, the LPN hourly wage is a little lower – C$19.06 per hour. According to the same source, a LVN starts off with about C$36,492 per year, but experience can increase the salary up to C$78,906 per year. Indeed.com found the most reported wage among their job listings is C$27.79 per hour or C$57,803 (US$46,080) per year. However, some listings included hourly wages of up to C$34.95 or C$72,696 (US$57,997) per year. Since the UK healthcare system is different from the ones in North America, we will refer to the closest equivalent of a LVN here – a registered nurse (RN). According to PayScale, a registered nurse earns about ₤25,000 (US$32,321) per year on average. The starting salary for a UK-based RN is £17,879 (US$23,114), but professionals quickly move up on the pay scale and reach the national average before their mid-career mark. Experienced and late-career professionals can earn as much as £36,041 (US$46,595) per year. Bonuses can account for up to £6,040 (US$7,807) of this amount. Prospects.co.uk, however, reports the salary of a fully qualified nurse working in the United Kingdom starts off between £22,128 (US$28,604) and £28,746 (US$37,150) per year and fit within the Band 5 pay scale. The starting salary mostly depends on location and employer, with those based in or around London earning higher wages. A Band 6 nurse team leader will earn between £26,565 (US$34,343) to £35,577 (US$45,978). Advanced and experienced professionals generally fit within Band 7 – Band 8c and earn between £31,696 (US$40,976) and £69,168 (US$89,390) per year. Since the main difference between LVNs and LPNs is the title as they have almost identical job descriptions and since we could not find info on the LVN salary for this country, we will refer to the LPN salary in Australia. PayScale reports the average salary for this profession at AU$53,000 (US$42,167) which breaks down to about AU$25.48 per hour; meanwhile, overtime is paid with AU$32 per hour. Beginners in this field start off with about AU$30,913 (US$24,591) per year, while experienced professionals can reach AU$68,943 (US$54,809) per year. Since the New Zealand healthcare system has a different structure than those in North America and Australia, we will take the registered nurse salary as a reference. According to careers.govt.nz, a nurse with 5 years of experience or less earns between NZ$47,000 (US$34,052) and NZ$68,000 (US$49,267) per year. As a professional gains more experience and responsibilities, the salary also increases up to NZ$114,000 (US$82,595) per year. PayScale, on the other hand, reports the national average at NZ$56,000 (US$40,577) per year and the starting salary at NZ$41,325 (US$29,940). Professionals with more than 10-15 years of experience or with more responsibilities can earn up to NZ$70,521 (US$51,106) per year. In addition, the same source reports bonuses can sum up to NZ$2,035 (US$1,474) per year. 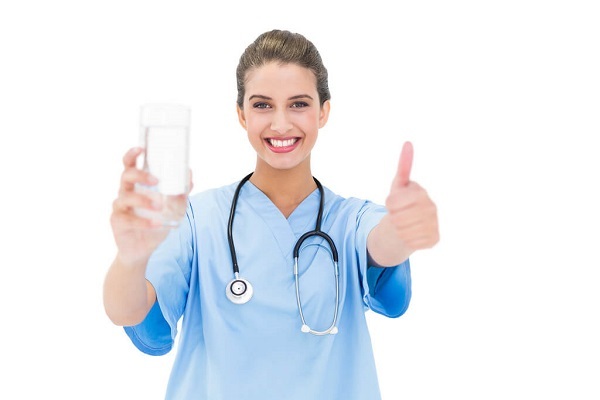 Just like with New Zealand and the UK, India has different schooling and licensing programs for its nurses; therefore, we will take the staff nurse and the registered nurse salaries as references. Registered nurses in India earn Rs241,000 (US$3,767) per year according to PayScale.com, but start off with as little as Rs125,398 (US$1,960) per year. Experience and extra duties can increase the salary to Rs525,688 (US$8,218) for registered nurses. Bonuses can account for anything between Rs1,030 (US$16) and Rs29,590 (US$463) of this amount. Staff nurses earn similar salaries according to the same source – Rs242,000 (US$3,783) per year on average. The salary range for this profession is Rs143,071 (US$2,236) – Rs464,467 (US$7,261). Bonuses can account for up to Rs24,775 (US$387), profit sharing opportunities – for up to Rs5,000 (US$78), and commission – for up to Rs220,000 (US$3,439). Just as with other countries in this guide that don’t have the LVN title, we will take the staff nurse and the registered nurse salaries as references. The RN job description is generally closer to that of LVNs, however. A staff nurse working in South Africa earns about R144,000 (US$11,048) per year in their mid-career, but start off somewhere around R98,621 (US$7,567). With experience, a staff nurse can get to earn R221,782 (US$17,017) per year. Bonuses can vary between R4,000 (US$307) and R32,556 (US$2,497), and profit sharing can account for up to R3,000 (US$230). A registered nurse, on the other hand, starts off with about R153,814 (US$11,789) and gets to earn a mean yearly salary of R220,000 (US$16,863) before reaching their mid-career point. Experienced registered nurses can earn up to R338,112 (US$25,910) per year. The salary of a licensed vocational nurse or the equivalent depending on location and healthcare system usually reaches the average before the 10-year mark. The length of training also varies throughout the reviewed English-speaking countries. US-based LVNs need at least one year of training but will complete several other pieces of training and courses throughout their career. These certifications will help them find better-paid jobs and advance throughout their career. This also applies to nurses in other countries or positions. Most of the LVNs work full time, but 20-30 percent of them work part-time. It is worth mentioning that LVNs work night shifts, weekends, and holidays as well because patients need constant care. Also, LVNs work many extra hours, but overtime is generally well-paid as highlighted in the sections above. Most LVNs receive medical and dental coverage, profit sharing opportunities, and bonuses of up to $4,000 per year in the US, New Zealand, UK, Canada, and Australia. India and South Africa also offer bonuses and profit-sharing opportunities, but these sum up to the equivalent of $1,000. Based on the latest BLS survey, the LVN employment rate is expected to increase by a staggering 16 percent until 2024 due to a high-demand of highly-qualified professionals in this sector. Also, over the last few years, many chronic conditions including obesity, heart diseases, and diabetes have become more predominant, which increases the need for at-home or hospital care. To sum up, this occupation is indeed challenging and can be done just by dedicated people, but the average LVN salary can be quite motivating as well if you have enough experience and accept that working extra hours is a common thing in this sector.